Sascha Matuszak is a friend and occasional guest author here at Kung Fu Tea. Regular readers may remember his report on recent developments in the socioeconomics of Taijiquan. As a China based journalist he has written a number of stories on the martial arts for publications like VICE’s Fightland, the Economist, The South China Morning Post, and Roads and Kingdoms. Recently he helped to launch a Kickstarter campaign for a new documentary titled “The New Masters.” Sascha, Christopher Cherry (the films director) and Kira Leinonen (the producer) have been kind enough to stop by and tell us a little more about their project. Sascha Matuszak (SM/Writer and Producer): I first became involved in the CMA when a friend of mine introduced me to a master in Chengdu, back in 2003. My friend had already been studying under this master, Li Quan, for a few months, and he wanted to bring us together. I became very close friends with Li Quan over the past 10 years. He is an erudite scholar, kung fu master and Sanda champion, and a good soul. His struggles really were the impetus for everything I have written on the CMA. He is, in my mind, a treasure house of martial skill and knowledge, and yet he lives on the border of poverty, with just a few students. It seemed as if everyone paid him respects, but no one paid him, and that was for me a conundrum that I wanted to unravel, and help change. That journey led to a blog, The Last Masters, and the beginnings of a book about the CMA today in China. While researching this book I started veering off into the mixed martial arts, as MMA in China seemed alive, vibrant, and at least to my eyes, profitable. That branch of the journey brought me into contact with filmmakers Chris Cherry and David Dempsey, who were at the Shaolin Temple filming an MMA veteran who was showing Shaolin students the basics of Brazilian Jiu Jitsu. We found that confluence fascinating, and we agreed on the spot to collaborate on a film project that could bring these stories to life. Christopher Cherry (Director): I was fascinated by the idea of how a country modernizes without becoming “westernized.” It seemed obvious that telling the story of the emergence of China, the Grand Narrative which every writer/photographer/creative type here was trying to tell, should be done by studying an aspect of its past in conflict with the present. So many of China’s traditions, while seeming to disappear, echoed somehow in the modern context….that whole Mark Twain quote about history ‘rhyming’ rather than repeating. The bound feet phenomenon, for example, which once forced women to appear fragile and in need of support, had become the ’empowering’ tottering high heels of today which seem obligatory on young women in Beijing. But I wasn’t going to make a documentary about high heels (maybe later). Somehow, I became particularly interested in how the dusty ‘Warrior Codes’ found in the manuals of traditional martial arts had been appropriated into the commercialized behemoth of modern MMA. All that philosophizing about Paths and Sacrifice. The bowing to an opponent after victory. Was it just a transparent attempt to legitimize what was ultimately a brutal sport with some quasi-spiritualism? Or was there indeed a numinous element to the life of the fighter which linked them back through centuries to gladiators, and the samurais and kung fu heroes of myth? What exactly made someone spill blood and sweat every day for months just to fight for 15 minutes in a cage, often for little money? The topic had the added promise of allowing us to truly find out what was useful from the past, with everything being rigorously tested. The MMA cage is the ultimate proving ground not just for athletes, but also for cultures, countries, and their ability to adapt to the challenge of modernity. I also realized fight movies are excellent vehicles for studying what is happening in a society because everyone understands the struggle. And we want those who struggle the most to win, beyond cultural sympathies or anything else. There was also the obvious attraction of this being incredibly visual material. China is such a dynamic place to live. Every day you see something new. But so much of the media coverage is dry and distanced, with stories that are just repackaged and resold….when will China become like us? This film gave us the chance to explore actual lives-hanging out in sweaty gyms with teenage cage fighters, climbing lush mountains searching for the old masters of myth, standing on the Great Wall with arms raised, all the while chasing individuals themselves trying to make sense of China and their place in it. Kira Leinonen (Producer): My love of film, documentary or otherwise, is partly due to the beauty of the medium, but perhaps more so the power it has to expose vastly different demographics across large geographic areas to new ideas. A film can shed new light on ideas. I worked for an environmental organization for three years making videos because I believe that people have the right to know what is happening in the world around them, particularly when it is happening in their backyard and even more so when it directly effects their health or well being. I also believe that information is power, and an informed public, on the whole, makes better decisions, whether on a personal or larger social level. One of the romances of film is its ability to whisk the viewer away to another world for a couple of hours. The power of the documentary lies in the fact that this ‘other world’ is still a very real one, a world we can identify with no matter who we are or where are living. Those insights, during which apparently disparate communities discover unlikely intersections of interests, practices, or outlooks on life, are where connections are made and greater understanding flourishes. As for martial arts, I developed an affection for Bruce Lee in college, during a semester-long Hong Kong action cinema class. I then immersed myself in all the kung fu classics, from both Mainland and Hong Kong, and also took in a lot of films influenced by the genre. This film meets my criteria for an important story that needs to be told, and it allows me to indulge my interests outside of social justice and environmental protection. KFT: What is the basic premise of “The New Masters?” What sorts of stories and locations can your audience expect to explore in this film? SM: A new breed of Chinese martial artist is emerging, and with that person new institutions that will have far reaching effects on martial arts in China, and on CMA’s influence abroad. We are documenting this process on film, through characters that span the strata of the community: MMA fighters, kung fu masters, middlemen and businessmen, managers and officials. MMA and cage fighting has had an impact on the TCMA across the board. Chen Taiji has staged fights, Sanda fighters are now moving into wrestling and MMA, kung fu masters are dipping their toes into the competition pool again, and even Wushu performers are making the transition in some way or another, either as businessmen, fighters, or some sort of recruiter and middleman. A lot of this is driven by the current mood that pervades China generally, that which forces everyone to leap onto anything that may be of some profit. We’ve seen a lot of tents go up and come crashing back down in the years since MMA first arrived in China (a little over ten years ago) and there are still a lot organizations that will collapse before the new facade of CMA is established. What we are seeing is a churning transformation within the community, as international training methods, martial styles, competitors, and business models penetrate into what was once a completely untapped, uniformly Chinese market. That is changing, but the actors are still in large part Chinese, which makes this all the more important, in that whatever does come out of the current melting pot and slightly chaotic mixing right now, will be determinedly Chinese in character. KFT: You have had the opportunity to live in China and interview a number of martial artists for your various writing projects. What is your impression of the state of the traditional Chinese martial arts today? Taijiquan? Kung Fu? How much do things vary by region or income level? SM: I recently interviewed a very prominent Taijiquan master in Qingcheng Mountain, outside of Chengdu, and he reiterated what I see here: the CMA community is sundered. Each element has its own trajectory, community, goals, adherents, and there is little that brings them together. This is both the cause and result of the demise of the traditional kung fu master. There is an overall trend toward profit making, because everyone wants to avoid the fate of the traditional master, who has been unable to position him/herself in the modern Chinese socio-economy as a valuable commodity. Taiji has been especially effective, by using health and the Dao as major branding tools to attract the old, the rich, and the overworked. MMA and Sanda are also effective, in that everyone all over the world still likes to see a fight. So that branch of the CMA world is also moving forward, developing, refining events and training methods, and generally becoming more and more “healthy” as a martial art and profitable arm of CMA. Having said that, the martial arts community in China numbers in the several millions of people. Sanda alone has around 500,000 people involved in that community: universities, fight camps, national teams, events, etc. Wushu has well over a million people, with a similar structure and a very long legacy that goes back to at least the turn of the 20th century. Kung fu, although clearly on the downturn in terms of numbers and market share, still counts dozens of major schools and thousands of masters and students. So when we speak of “demise” we are really talking about a relative process that will take a long, long time to play out. The Shaolin Temple, for example, is busy re-branding itself, from a kung fu centric temple for disciples to something more cultural, more inclusive of events. And the schools around Shaolin include wrestling, wushu, boxing, and Sanda as well. It’s a huge community with immeasurable potential, but as with many things in China, its mired in an old, stagnant way of doing things that is now being poked and prodded by international trends, such as MMA. KFT: What are some of the barrier that prevent kids from developing an interest in the traditional martial arts, or actually taking up their practice? SM: Money. For poor families, sending your kid to a Wushu school makes some sense, because of the discipline, the relatively low tuition fees, and the security of a job at the end of the line as a coach, guard, police officer, or something along those lines. But even for the poor, the idea of a life as a martial artist is losing out to the lure of the city, technical schools, white collar jobs … tracks that provide a real boost up from the farm, and not just a small step up. Of course, the numbers of children going to Wushu schools number in the hundreds of thousands still, and many children I spoke to loved their school because they loved Wushu and that is something that is important to remember. Martial artists often do it for the love, and worry about money later. I think there are a lot of other things that can attract people, or options that are more attractive to parents than martial arts. But I still see a tremendous interest, and the numbers are still huge. There really is little difference between the economic realities of a martial artist in China and in the US – all of them struggle to make a living. It is just that now, in the US for example, martial artists come from all walks of life. It can be a hobby. Whereas in China economic necessity still rules many decisions for a family. KFT: What about other combat sports, specifically MMA and the various styles of kickboxing? How have things changed for these pursuits in the last five years? SM: Combat sports have definitely seen a dramatic uptick in the last five or six years. I think combat sports tap into an ever-present reservoir in human societies, the pool of those who love to fight. In China we are talking about incredible scales, so any competent gym would have the opportunity to support itself, as long as there are events and fights that can draw in income. A lot of gym owners still make it month to month, because the infrastructure around them isn’t that strong. Again, there are many gyms in the US that barely make it, so I think the distinction is not as much national. The difference lies in which stage each martial community is in: in the US an explosion has led to somewhat of a saturation, although not too extreme from what I gather. In China, the system is slowly reacting to combat sports as a viable economic force, and the Wushu and Sanda systems are adapting slowly. KFT: Is there just one sort of person who takes up MMA in China today? What sorts of variety do we see in current Chinese schools and training camps? SM: There is a dominant majority of people who come from lower incomes, especially in the TCMA such as Sanda, Wushu, and Kung fu. In MMA and Brazilian Jiujitsu however, the demographic is much more diverse. That is a function of exposure – small town kids may have never even heard of these two martial arts, and also systemic, in that the existing martial arts system doesn’t offer these martial arts on a large scale. Taiji has a very broad, diverse demographic. Chinese are very big on health and longevity as a matter of course, so Taiji is a big deal with anyone older than 45, in general. Not that everyone of that age practices, but that is a strong demographic. White collar workers, as I wrote above, also see Taiji as very beneficial. One Taiji master explained it to me like this: in the West, you have yoga. But yoga is a very Yang style, whereas here in the East, we prefer Taiji and qigong, which are much more Yin. I’m not sure how much I agree with that statement, but it seems to be a relatively common one. KFT: What are some of the elements of Chinese fighting culture that are propelling MMA forward at this moment in history? SM: China actually has a thriving fight culture, despite the fact that the streets are very safe, nary a fistfight to be seen. By fight culture I mean the events, and specifically events held at the village, town, or small city level. At this level, the combat sport (and MMA) acts as a bread and circuses tool to bring people together in a way that is safe for the authorities, makes money for sponsors, and allows viewers to get a bit of aggression out. So far the Chinese authorities have shown a distinct indifference to blood, broken limbs, the presence (or lack thereof) of doctors, and other things which made MMA something of an outcast in the US for a few years. KFT: At what point do you think that China will begin to produce world class MMA athletes? SM: Soon, but it may take a lot longer than with other countries, say Dagestan or Ireland. To be honest, I am not exactly sure why. Are the training facilities here that much worse than in Russia or Dagestan? Is it really a “martial spirit” thing at play? I find that to be a weak argument. I think the strongest argument I heard was that the Communist sports system cultivates athletes, especially in the fight game, who are more interested in comfort and money than fame and glory. And that does seem to be the case. Fighters here get paid to train, whereas in the US, fighters usually pay out of pocket for the best training. That type of difference does mean that, in the US, only the very best will rise to the top, whereas here not so much. That is changing very rapidly, and there are fighters right now in the UFC who look very good. Li Jingliang, Wang Sai, and Zhang Lipeng are all second generation Chinese MMA fighters, and although Li lost by decision in his last fight, he looked great. All three of these guys, as well as Ning Guangyou, one of the main characters in our film, have a chance to make a name for themselves. Honestly though, it may be the next generation of “New Masters” who really shine. KFT: Obviously the quality of Chinese MMA fighters has been improving. I think that a lot of people assume that this is simply because they are abandoning the influence of traditional Kung Fu and turning instead to Jujitsu and Muay Thai. The traditional Chinese arts have been exposed as being useless and they are being abandoned. Yet you argue that a powerful synthesis of traditional and modern arts is developing in China. Can you tell us a little more about this? SM: I think I have argued that a synthesis could be powerful, but not that it is actually happening on any large scale. I don’t want to lead anyone astray: kung fu still plays zero role as a brand in mixed martial arts. I think what is lacking is the recognition that certain techniques used today in MMA are straight out of Chinese kung fu. Headkicks, sidekicks, oblique kicks, elbows, centerline strikes … all of these are very prominent and basic features of Chinese kung fu. It is actually kung fu’s inability to define itself, and brand itself as an effective martial art in combat sports that is, I believe, the larger problem. Our premise is that the arrival of MMA is forcing kung fu out of its slumber and into the wider world of martial arts. In our documentary Xingxi, a Shaolin trained kung fu master, helps guide us through that process. KFT: Do you think that the Chinese mixed martial artists of the future will look and fight just like their western counterparts, or will they develop their own approach to the game? SM: I think the martial artists of the future will look very similar to each other. They will all be able to move through different transitions easily, employ all of the weapons the human body has effectively and fluidly, and be able to adapt quickly to the same type of skills in an opponent. Whether or not regional or national styles remain, I think that’s very hard to say. Russian MMA fighters are still the best at suplexing people, Brazilians tend to be masters of the submission game .. but more and more we are seeing the very best martial artists develop into something like comic book heroes, with a vast array of moves and techniques gleaned from all manner of styles and arts. It’s exciting to see. KFT: Can you tell us about some of the traditional artists that will be featured in your film? What do they bring to the story, and what do they reveal about the state of the traditional arts in China today. SM: There are two in particular. 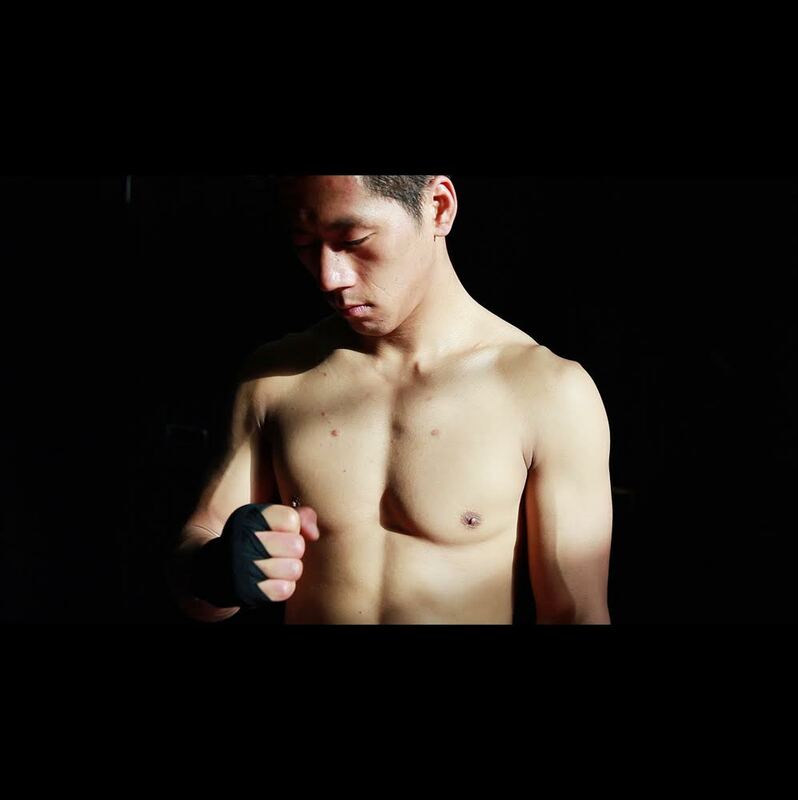 One a young Shaolin trained martial artist named Xingxi, who is entering the world of MMA, represents the naiveté of the kung fu world in many ways. His kung fu is solid, and he carries himself like a Buddhist monk with martial skills, like the figures of old. We show the process of Xingxi realizing he may be something of an anachronism, and his steps to change that. The other is a fascinating character, and perhaps the complete opposite of Xingxi. 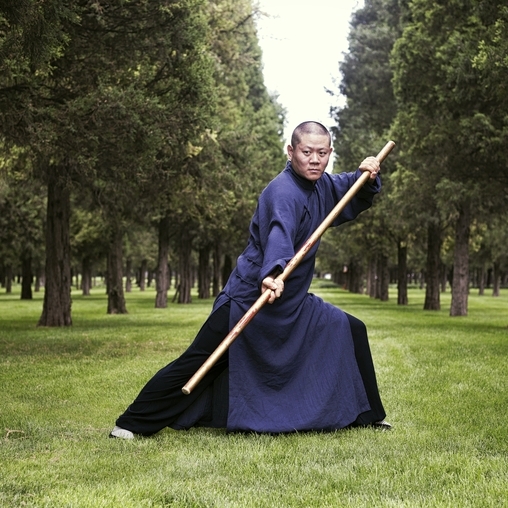 Zou Fan is a martial artist living in the mountains of southwest China, practicing Taijiquan and seeking the Dao. Before that though, she was a renowned bare knuckle fighter in Sichuan. She knocked people out! So her journey is the reverse of Xingxi in many ways, and she represents the true value of the CMA, the philosophy and greater truth behind the self defense training. For me, she is the closest to a true martial artist that we have met on this journey. KFT: Earlier this week you launched a Kickstarter campaign to raise money for the project. What has the response been like? Are there any giveaways that you are especially excited about? SM: The response has been very good. We made 40% of our goal in the first five days, but we still have a long way to go. There are a few giveaways I like: the large size Mamiya photo prints are going to be amazing, as are the printed photo books and digital photo books. We also have a week at Zou Fan’s school which is a top tier reward, but also includes Mamiya prints, signed MMA gear, and a great hoodie. What we have seen though is that people are supporting us for the project, more so than for rewards. Which is great, but we still want to offer the best possible rewards we can to our backer. KFT: Where will this film debut, and how did you select those cities? SM: Not sure where it will debut, but we chose those cities (Glasgow, Berlin, Beijing, Shanghai, San Francisco and Montreal or NY) because we could all make those screenings happen – those cities are where we all grew up, lived and worked, and have many friends. KFT: Great. I can’t wait to meet you and the rest of the production team in New York City. Thanks for dropping by to discuss your project. This sounds like a fantastic exploration of China’s evolving martial culture. Readers interested in learning more about “The New Masters” can check out the Facebook group or click here to watch the trailer. Of course the film also has its own webpage. If you enjoyed this interview you might also want to see: Nick Hurst Talks to Kung Fu Tea about Writing, Research, and Curating the Memory of a Shaolin Grandmaster.